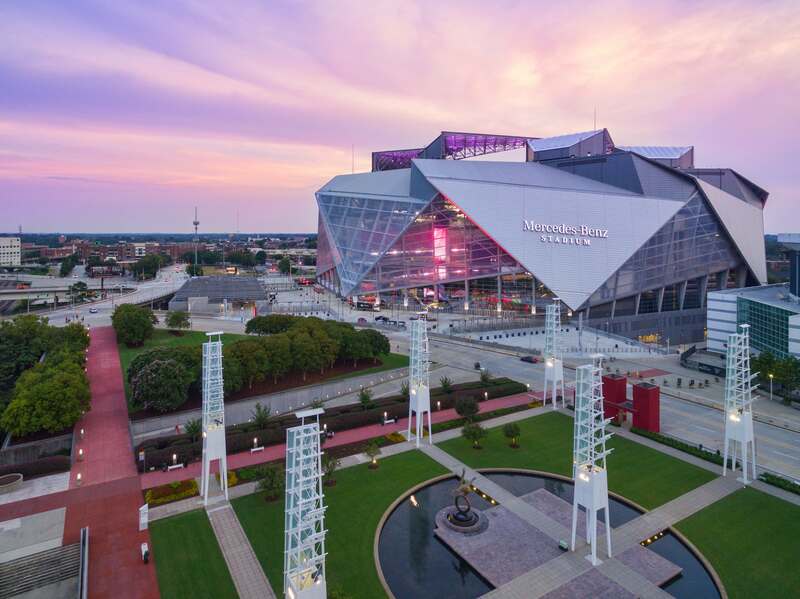 The Green Sports Alliance will hold the 8th annual Green Sports Alliance Summit at the new Mercedes-Benz Stadium in Atlanta from June 26-27, 2018. And the Alliance has also announced that the 9th annual Summit will be held in Philadelphia at Lincoln Financial Field in June 2019. The Summit brings together hundreds of leaders from professional sports teams, collegiate programmes, venue management companies, and other pioneers in environmental stewardship to exchange the latest thinking around greening the sports industry and engaging fans. As the first professional sports stadium in the US to be awarded LEED Platinum certification, Mercedes-Benz Stadium has been at the forefront of innovation in sustainability efforts. We look forward to welcoming like-minded thought leaders in the industry to help further the sports sustainability movement. Touting the most LEED points earned to date for a sports venue in the world, Mercedes-Benz Stadium will serve as an apropos location for the Summit. The stadium utilises renewable energy, has a stormwater recapture and storage system, and boasts 82,500ft2 of efficient LED lighting. The stadium and home teams, the Falcons and United FC, are dedicated to their community and participate in food recovery and donation programmes, partner with Trees Atlanta to share captured rainwater for tree irrigation, and participate in the Novelis Recycle for Good programme collecting aluminum cans to fund Habitat for Humanity home builds. “We are honoured and excited to host our 2018 Summit in the great city of Atlanta, at Mercedes-Benz Stadium. The Falcons and United FC are leaders in environmental stewardship and it’s incredible to see members of the Green Sports Alliance take sustainability in the sports industry to new heights with their innovative environmental solutions and dedication to the well-being of their community. The theme for this year’s Summit is “PLAY GREENER: Get in the Game” and will focus on taking action that encourages collaborative problem-solving to achieve sustainable change across the sports spectrum. Read the full story at PanStadia & Arena Management.